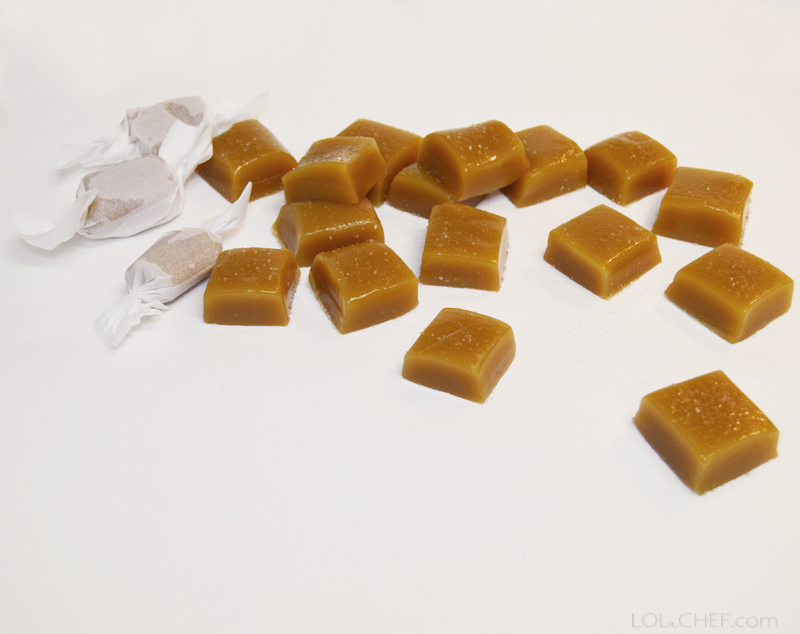 Making homemade caramel isn’t as hard as you may think. It is as easy as cooking a few simple ingredients to the right temperature. It took me three batches to get this recipe right. It can be easily tweaked depending on how you like caramel or what you are using it for. The first batch came out too hard and chewy, I cooked it to too high of a temperature. The second I added more heavy cream and didn’t bring the temperature high enough, it was too soft and didn’t hold it’s shape well. 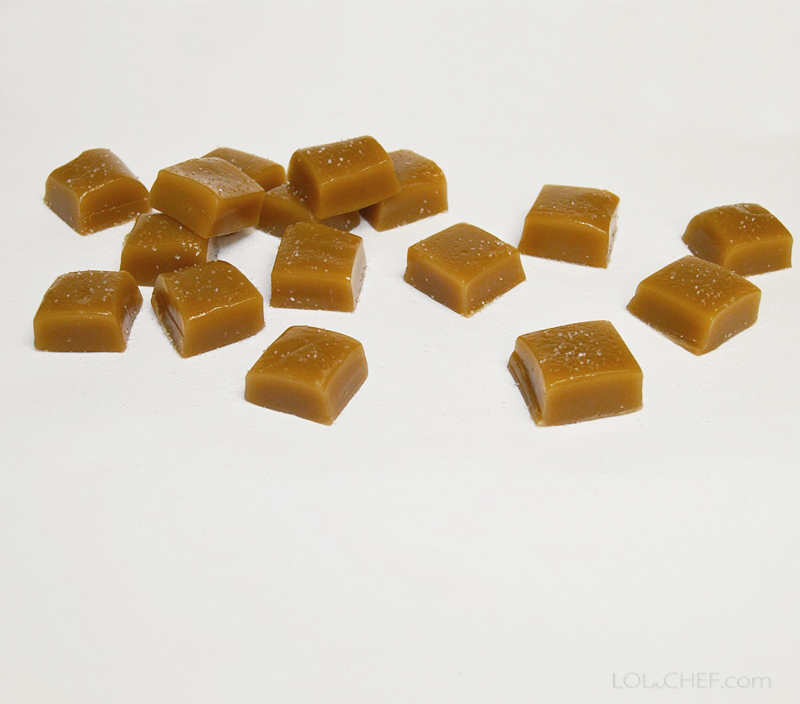 I put a square of that caramel into my morning cup of coffee….it was excellent. Attach a candy thermometer to a large pot. Place butter, sugars, corn syrup, and heavy cream in pot and turn heat to medium. Stir ingredients and bring mixture to a simmer. Raise temperature to medium / medium high (slightly higher) and bring to 240 degrees. It may take 20-30 minutes to bring to temperature. Watch carefully and do not walk away from stove, this can burn easily. Once mixture is 240 degrees, remove from heat and add vanilla, stir and let cool for a minute. Pour hot mixture into greased glass pan to set. Let set for a few hours. Caramel will continue to set the longer it sits, I like letting it sit for 8 hrs or overnight. For a softer caramel add 1/2 cup more heavy cream and bring to 135 degrees. For a harder caramel, bring to 145 degrees or higher. Once they have set you can remove from pan and place on a cutting board and cut into desired shapes. Sprinkle with salt and serve. I wrapped these in parchment paper which keeps them from sticking to each other. If you have a hard time getting them to cut into shapes, refrigerate for a few hours and they will set easier. See also Homemade Caramel Sauce.